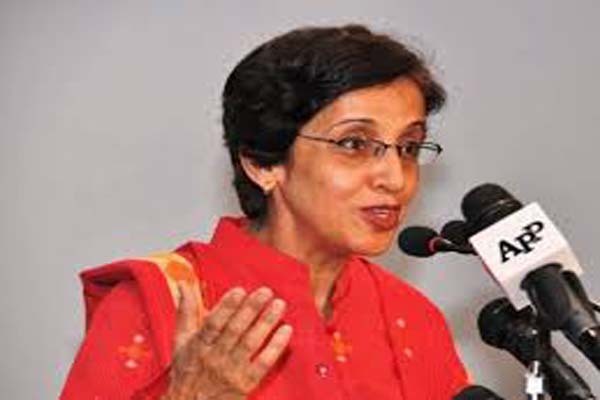 GENEVA, May 19 (APP): Pakistan’s Permanent Representative to the United Nations Geneva, Ambassador Tehmina Janjua, as the President of the Conference on Disarmament led a plenary of the Conference on Disarmament (CD) on Thursday to discuss the role of women in disarmament. General of the Conference on Disarmament, Mr. Michael Moller and Ms. Mia Gandenberger from a Geneva based NGO; were on the panel that urged greater participation of women in arms control, disarmament and non proliferation decision making processes. of Pakistani women dealing with international security issues including Additional Secretary United Nations at the Foreign Ministry in Islamabad and Pakistan’s Ambassadors in Geneva, New York, Vienna and Brussels.